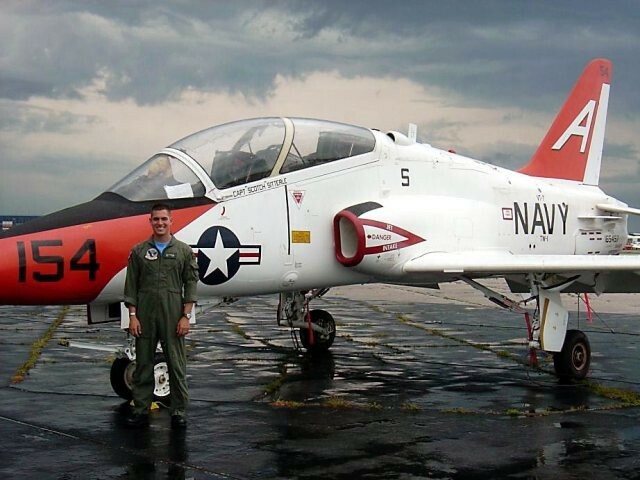 MERIDIAN, Mississippi — Navy investigators are looking into the crash of a T-45C Goshawk jet that killed the plane’s student pilot. Naval Air Station Meridian officials on Wednesday identified the pilot as Lt. j.g. Steven Elledge, 25, of Orlando, Florida. Elledge, a member of Training Squadron 7, was killed Tuesday when his plane crashed just south of Naval Air Station Meridian’s McCain Field. Captain Dan Ouimette, commander of Training Air Wing 1, said few details were available. He said the crash occurred while Elledge was practicing field carrier landings. In a heavily wooded area about a mile from McCain Field where the plane went down, NAS Meridian’s Mishap Investigation Group is searching for clues into what may have caused the crash. Ouimette said investigators are attempting to locate and tag each piece of the aircraft. Ouimette said he expects the investigation to last one to two months. Susan Junkins, director of public affairs at NAS Meridian, said Tuesday’s crash is the base’s first fatality involving a T-45C Goshawk. The base’s last fatality was in 1996, when trainees flew the T2C Buckeye. Ouimette said there have been three accidents involving Goshawks in the past 18 months, with no fatalities. Ouimette said once all the pieces of the plane have been recovered, the investigation team will reassemble the accident scene to determine the cause. Training Squadron 7 was given the day off Wednesday, but resumed training Thursday, officials said. 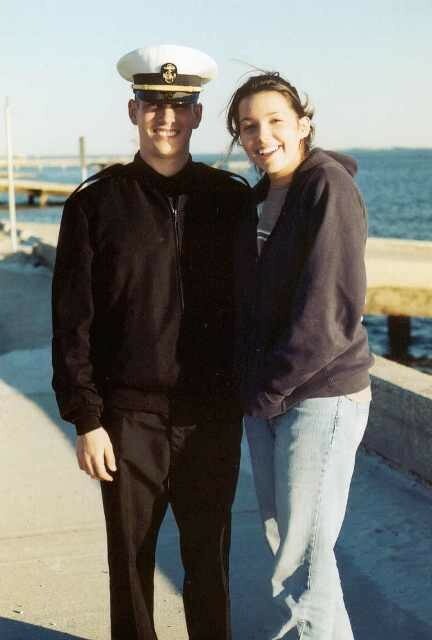 Naval aviator Steven Elledge, a 1998 Rockledge High School graduate, was remembered by his friends and teachers as a magnetic person who dreamed of flying as a youth and energetically fulfilled that wish as an adult. Elledge, 25, died when the T-45C Goshawk jet he was piloting on a training flight crashed Tuesday near the Meridian Naval Air Station in Mississippi. 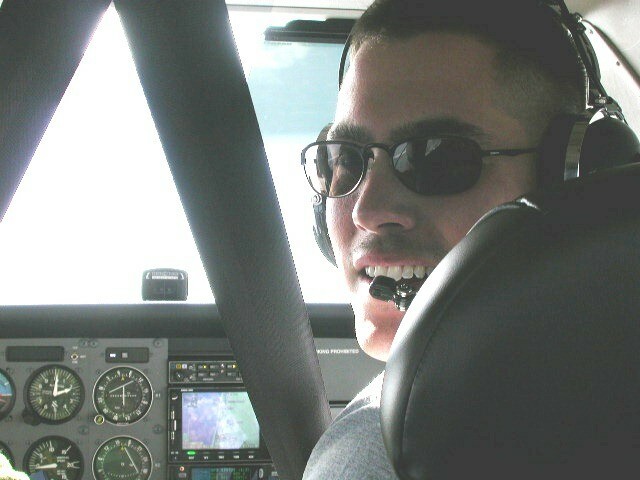 Elledge, a Lieutenant Junior Grade, was practicing landings, said Captain Dan Ouimette, commander of Training Air Wing 1. Ouimette said an investigation into the cause of the crash would take about two months. 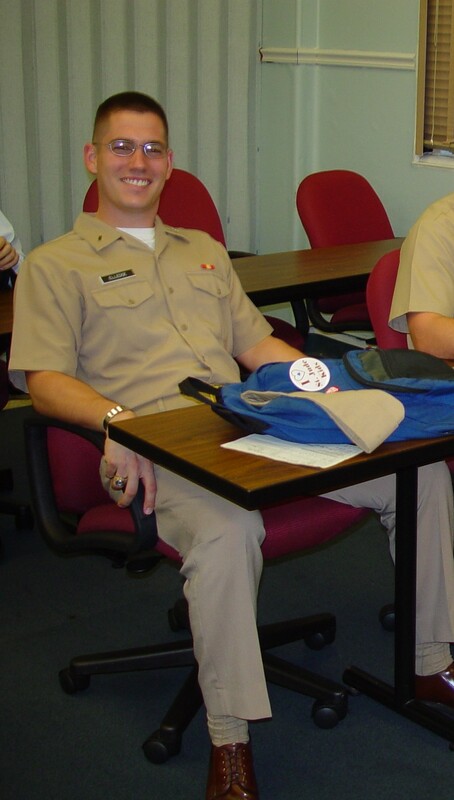 Elledge attended McNair Magnet Middle School in Cocoa and Rockledge High before going to Embry-Riddle Aeronautical University in Daytona Beach, where he earned an aeronautical degree. "His love was flying; he always talked about aviation," said Major Ralph Gay, a Rockledge ROTC instructor. would ever want to meet. He was a friend to everyone; the kids just gravitated to him." pinning his ensign's bars on his uniform. "He was like a son, just one of those special individuals," Gay said. Amanda Appling, a Rockledge schoolmate, described Elledge as "an all-around good person and a leader. "He followed his dreams and did what he wanted," Appling said. "When he'd come into town, he would often tell me that he'd rather die flying than to ever die from a long illness." Elledge's mother, Mary Teresa Elledge, is in Meridian to attend a memorial for Elledge today. His father died last year. 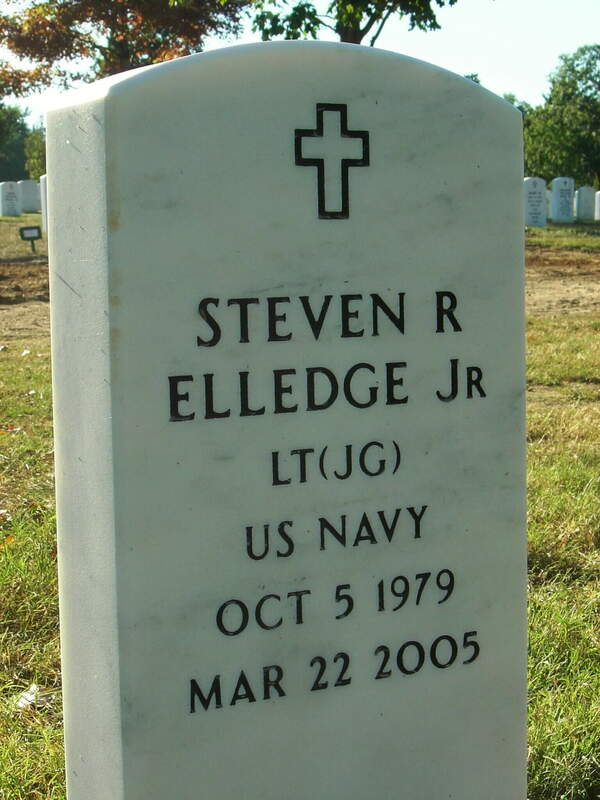 Elledge will be buried in Arlington National Cemetery in Virginia. Rachel Henry, a Vanderbilt University graduate student who attended McNair and Rockledge with Elledge, recalled him telling her excitedly about a new airplane he had tested. "That's why he joined the Navy, because it was the best opportunity for him to get enough flight time," Henry said. 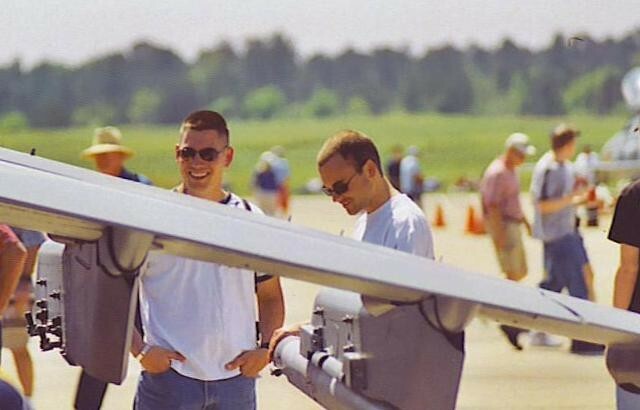 "He would send e-mails telling me about a new plane he had flown, and it didn't sound like it was for the faint of heart, but he really loved it." Navy investigators are looking into the crash of a T-45C Goshawk jet that killed the plane's student pilot. Naval Air Station Meridian officials on Wednesday identified the pilot as Lt. j.g. Steven Elledge, 25, of Orlando, Fla. Elledge, a member of Training Squadron 7, was killed Tuesday when his plane crashed just south of NAS Meridian's McCain Field. Capt. Dan Ouimette, commander of Training Air Wing 1, said few details were available. He said the crash occurred while Elledge was practicing field carrier landings. In a heavily wooded area about a mile from McCain Field where the plane went down, NAS Meridian's Mishap Investigation Group is searching for clues into what may have caused the crash. Ouimette said investigators are attempting to locate and tag each piece of the aircraft. Susan Junkins, director of public affairs at NAS Meridian, said Tuesday's crash is the base's first fatality involving a T-45C Goshawk. The base's last fatality was in 1996, when trainees flew the T2C Buckeye. "We take young pilots and teach them advanced operations," Ouimette said. "It's a dangerous business we are in, but we will thoroughly investigate this accident so we can hopefully prevent it from happening in the future." 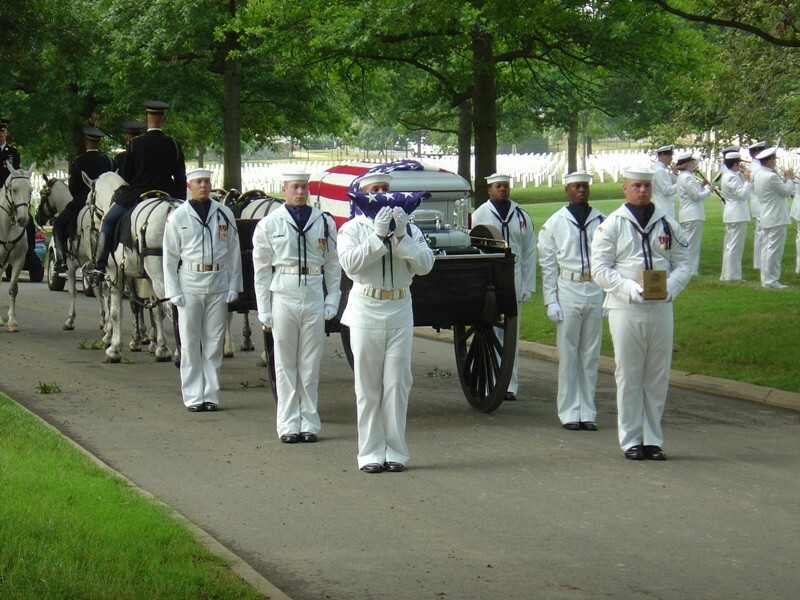 NOTE: Lieutenant Elledge was laid to rest at Arlington National Cemetery on 6 July 2005.